A bomb alert centred on a rural part of Co Londonderry has been declared over. 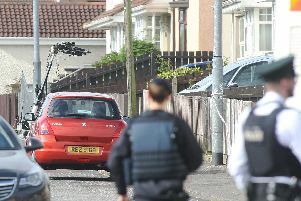 The PSNI had announced at about 5pm on Wednesday that the The Feeny Road was closed due to the discovery of a suspicious object. The area is near Feeny village, between Dungiven and Claudy. As of late on Wednesday night the road was re-opened. The Army had attended the scene, and determined that the suspicious object which sparked the alert was “nothing untoward”.